Our mission: To eliminate Alzheimer's disease through the advancement of research; to provide and enhance care and support for all affected; and to reduce the risk of dementia through the promotion of brain health. Our vision: A world without Alzheimer's disease. The Northeastern New York Chapter of the Alzheimer’s Association serves a 17-county area in the northeastern most corner of New York State. These counties cover over 15,000 square miles, representing approximately 30% of New York State, and are home to 1.5 million people. It is estimated that 40,000 of the friends and neighbors living in this area have Alzheimer’s disease. As is the fact across the country, almost 80% of all persons who have Alzheimer’s live at home and are cared for by a family caregiver and 1 out of 3 adults personally know someone with the disease. This means that there are approximately ½ million people in the northeastern region of New York who need education, information and referral services and approximately 24,000 family caregivers who need support, respite care and an array of tools to help them with this difficult task. We pride ourselves for being here for our families and those who work with our families. To make sure that we are accessible we have an administrative office in Albany and 11 Point-of-Services located throughout the region, including Sidney, Delhi, Cooperstown, Glens Falls, Queensbury, Indian Lake, Hudson, Catskill, Johnstown, Amsterdam and Fort Edward. 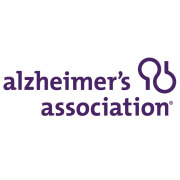 Would you recommend Alzheimer's Association of Northeastern New York?